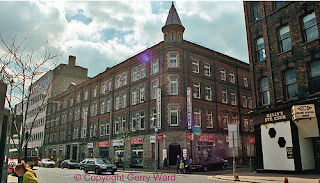 Heritage campaigners may launch a legal bid to stop a developer from demolishing an Edwardian building in Belfast city centre and replacing it with a nine storey apartment block. The former warehouse was constructed in 1911 and stands at the corner of Queen Street and College Street. It is located within Belfast City Centre Conservation Area, but a planning application to tear it down was passed in June this year with only one objection lodged. The developer, Carlisle Property Developments Ltd, wants to transform the site into a tower block which will include 69 new apartments, street level shops and an underground car park. The Ulster Architectural Heritage Society (UAHS) wants a judicial review of the decision and hopes to hear back from the Department of Environment on the issue within days. It's interesting that they intend to keep the corner, why should this be valued over the sides? It has unique features perhaps, but out of the existing structure the corner appears the least flexible when it comes to redeveloping the site. It's strong architectural identity will make it difficult to integrate into a 9 storey structure. I hope the developers know what they're doing, any ideas what the proposal will look like? If they're going to start demolishing the replacement must be a benefit to the city, I'm not sure what a 9 storey block will do... especially if it is anything like the unimpressive white mass next door.